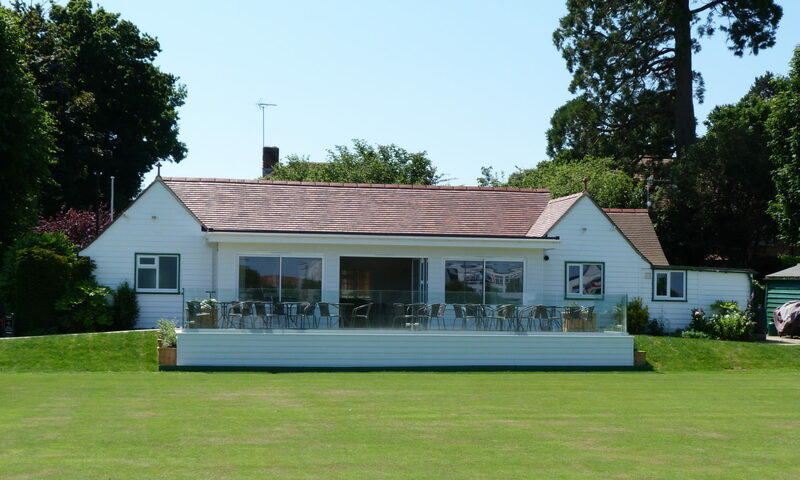 Our new Clubhouse Steward, Ali Cantelo, has now started in her role and over the summer season the bar will be staffed for serving of drinks and snacks from 11am to 2pm on weekdays and 9am to 2pm on Saturdays. 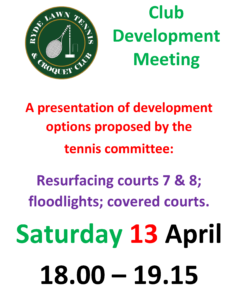 All members are invited to attend an open meeting at the clubhouse on Saturday 13th April between 6 and 7.15pm when ideas about future club development will be presented. 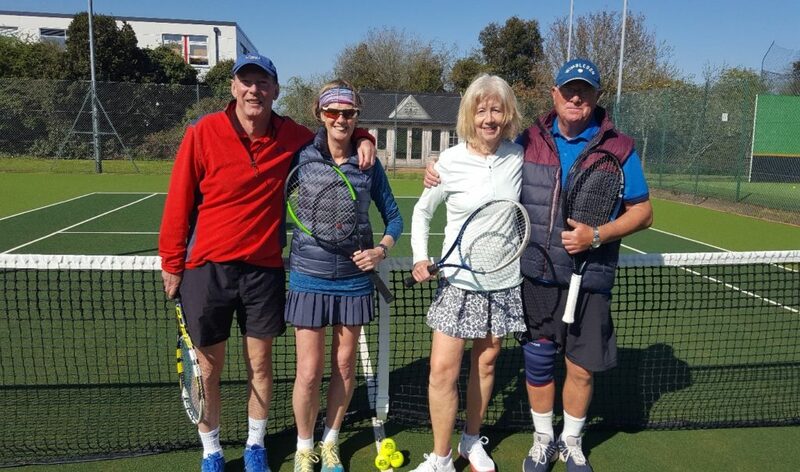 Sixteen island and mainland pairs competed on Wednesday 10 April in the second running of the RLTCC Over 60’s Open Mixed Tennis Tournament. Thank you to all who worked so hard to make this another successful event. Congratulations to our runners up Alan Gordon and Joanna White (right) and worthy winners Michael Barette and Denise Flanagan (left). 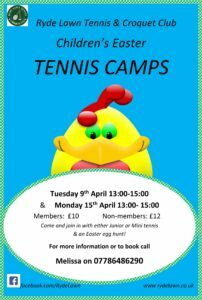 We will be running our popular Junior Tennis Camps again on Tuesday 9th April and Monday 15th April. Cost is £10 for members or £12 for non-members. 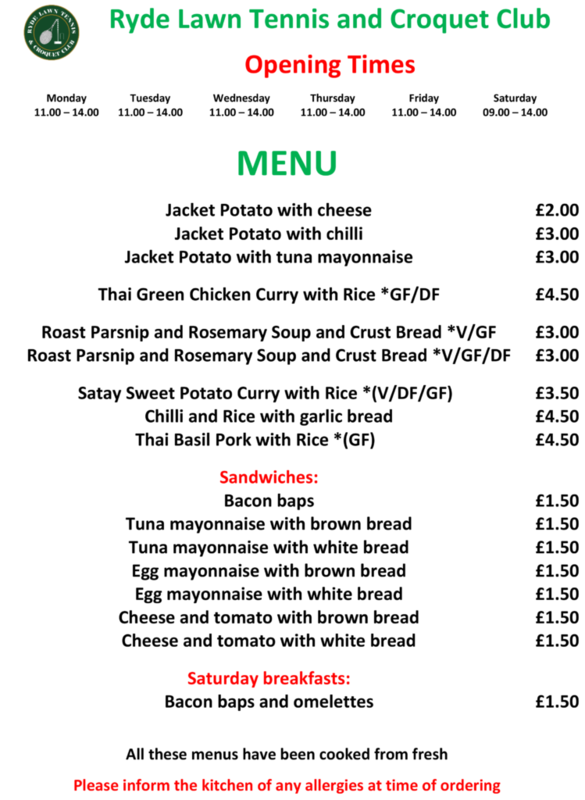 For more information or to book call Melissa on 07786486290. 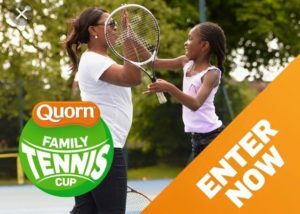 RLTCC are hosting the annual Quorn Family Cup on Saturday 23rd March from 9-11. U10 junior plus a family member (age 18+) playing mini red doubles. Please talk to a member of the coaching team for more information and sign up with Melissa to support this brilliant, fun family event! 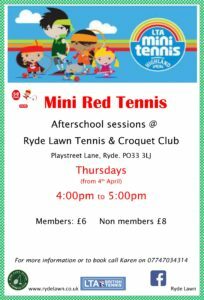 The 2019 AGM of Ryde Lawn Tennis & Croquet Club will be held in the RLTCC Clubhouse, Playstreet Lane on Thursday March 21st at 6.30pm. Documents for the AGM will be made available here. 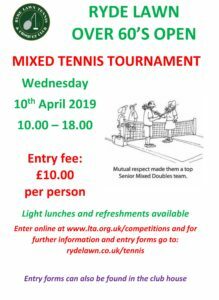 RLTCC is holding the second Over 60’s Veteran’s Mixed Doubles Open Tennis Tournament on Wednesday April 10 2019. Further information and an entry form can be accessed here and you can also enter online here . 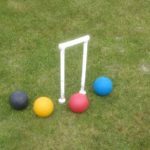 Our croquet pre-season meeting will be held on the afternoon of March 26th 2019. More details later.